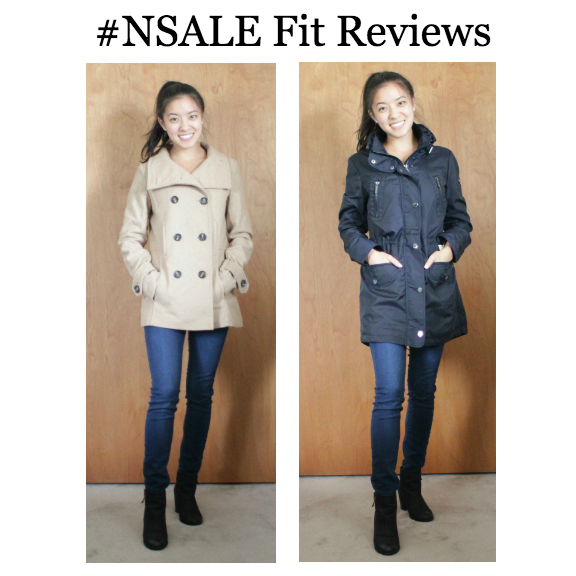 I know the Nordstrom Anniversary Sale is almost over, but just wanted to get fit reviews on this jacket and coat I bought in case you were interested in how they fit! 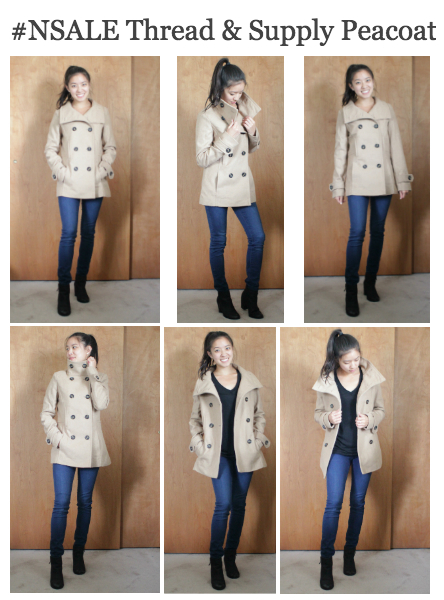 At first I thought this peacoat was big on me but when I see it in photos now, it looks fine. It's a tiny bit looser than another peacoat I owned which is why I thought it was big but that just allows for comfortable layering. It isn't as thick as other peacoats so the extra room will make way for nice thick sweaters. Because this isn't in petite sizing, the sleeves are a bit long for me but I'm not sure if I'll hem them or not. I also love the high collar because when it's really cold, I like to button it up all the way if I'm without a scarf for some reason. I think the quality is definitely worth around $50 so I'm glad I paid around $40 for it. I'll be able to wear this almost anytime of year here in SF so I think it's a good and affordable investment. Unfortunately this is only available in the Hunter Green color in the same size that I bought, XS but it looks like a great fall color! Next is this navy jacket. I already am in love with this jacket and can't wait to wear it in the rain as it is described to be water repellent. The reason I'm in love with this jacket is that it can be worn so many different ways. As you can see in the photos, in some, the waist is cinched and tightened and in others, it's not. There are drawstrings on the waist as well as the collar and hood! I love the look of the cinched waist because it makes my legs look longer but I also like having the option to leave it loose to keep out the rain. And there are pockets everywhere!! Zipper pockets and snap pockets, which are perfect for the rain of course. The hem falls a little higher in the front than the back if you've noticed from the photos. The hood is detachable (although I didn't try detaching it) so when it's not detached and not out, it hides in a zipped pouch on the neck, as seen in the middle photos above. The hood fits my head perfectly and is not too big or too tight. On the other hand, the sleeves are a little long for me. But I'm glad it's more on the matte side since I was worried it was going to be shinier. Overall I'm very happy with this purchase and can't wait to use it. 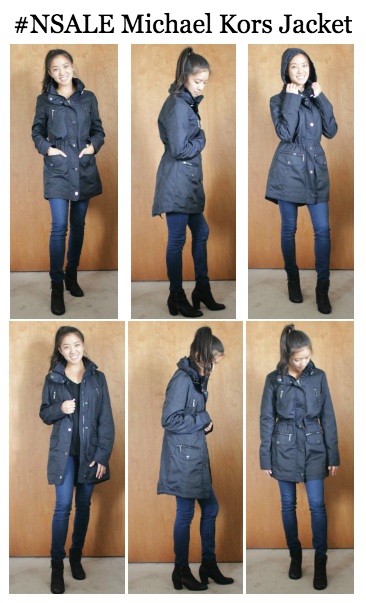 It seems like a great utility jacket and rain jacket. It's not too thin but has enough room to layer underneath. I think it's a great casual alternative to a trench coat because I dress pretty casually for work and on the weekends so I should get a lot of use out of this! Unfortunately this item is only available in Medium Petite, Large, and Extra Large but if you're one of those sizes or see this in stores in your size, I highly recommend it! Hope you find this post helpful! Happy shopping! Love that camel piece Amanda!